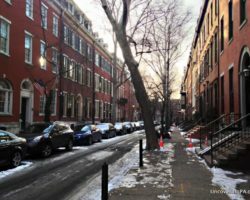 Pennsylvania has been home to many eccentric people through its history, but few have matched the level of Henry Chapman Mercer. Mercer’s Renaissance-man approach to life meant that he dabbled in a wide variety of pursuits. It was at his tile factory that his passions for art and architecture intersected. The resulting factory for the Moravian Pottery and Tile Works is easily one of the most unique and strange buildings you’ll find in Pennsylvania. 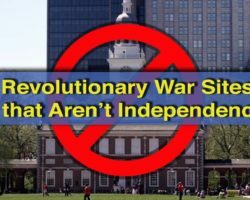 Interestingly, the site has nothing to do with the Moravian religious group that settled in nearby. Mercer started producing tiles at a small workshop on the outskirts of Doylestown, Pennsylvania, in 1898. As a big proponent of the Arts and Craft Movement that was sweeping America, Mercer preferred handmade items to machinery made pieces. That, combined with his love for history and archeology led to his attempt to preserve dying American artistic methods both in the making of his tiles and within the tiles themselves. It only took a few years for Mercer’s tiles to gain popularity. In 1903, just five years after he started his tile works, Mercer was asked to produce 16,000 square feet of floor tiles for the brand new Pennsylvania State Capitol in Harrisburg. 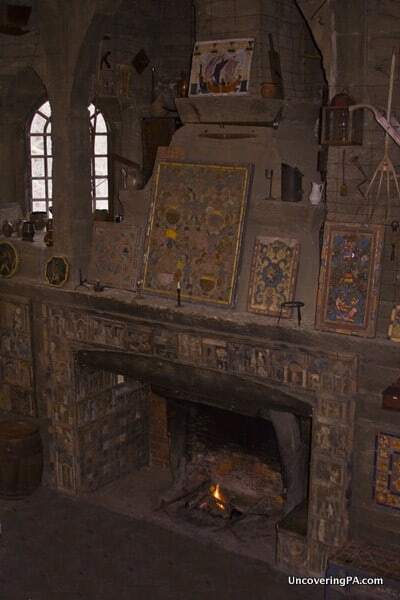 A large fireplace inside the Moravian Pottery and Tile Works. 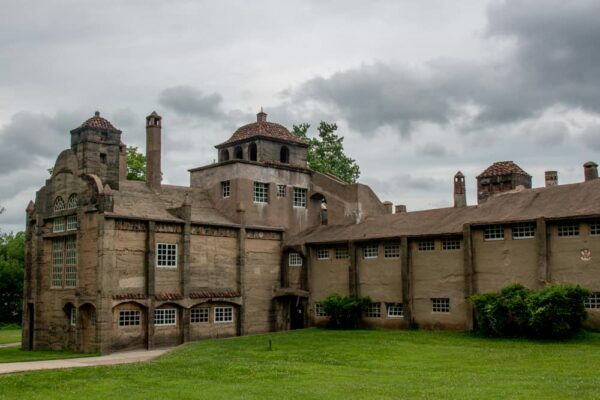 Projects like this prompted Mercer to build a larger tile factory next to his home, Fonthill Castle. 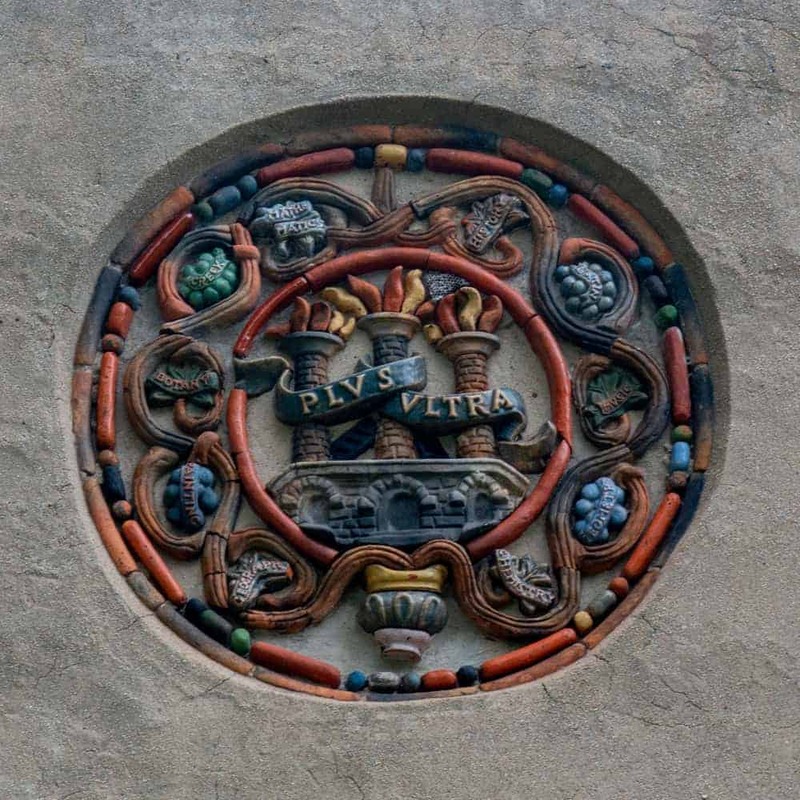 Construction on the building took two years, and in 1912, Mercer and his Moravian Pottery and Tile Works moved into their new building. Given that Mercer had already built a concrete castle for his home, the odd stylings of his factory likely wouldn’t have been much of a shock to the locals. Designed after several Spanish monasteries that Mercer had encountered in his travels, the Moravian Pottery and Tile Works Factory in Doylestown looks like it belongs in Europe, as opposed to a quiet Pennsylvania borough. Mercer’s design for the building had many advantages in the making of his tiles. After Mercer died in 1930, the factory was passed onto his assistant Frank Swain, who ran the tile works until his death in 1952. After that, tiles continued to be made there until the 1960s, when the factory was obtained by the County of Bucks. 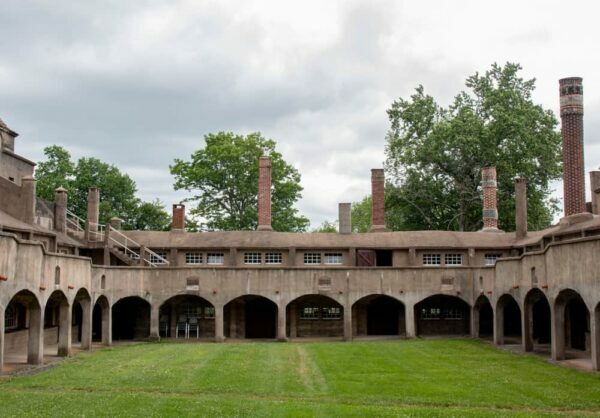 The Moravian Pottery and Tile Works was opened to the public in 1964, and it has been one of Bucks County, Pennsylvania’s hottest tourist attractions ever since. Many people, myself included, have driven by the tile works in the past and wondered, “What on earth is that?” And while the Spanish monastery architecture of the building is certainly a curiosity, don’t be fooled into believing that the site is just a quirky roadside attraction. Because, while it’s true that the design might not have come to being without Mercer’s eccentric stylings, the architecture of the building did serve several purposes in the tile making process. The old coal kilns in the Moravian Pottery and Tile Works. However, if you think the outside is cool, you should definitely check out the inside, which is even cooler. Visits to the tile works start with a short video that gives you a history of Mercer, the factory, and how the tiles are made. 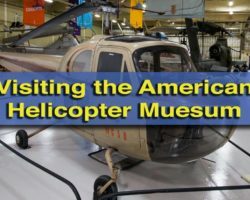 While the video definitely feels dated, it does a surprisingly good job covering the history and holding your attention. 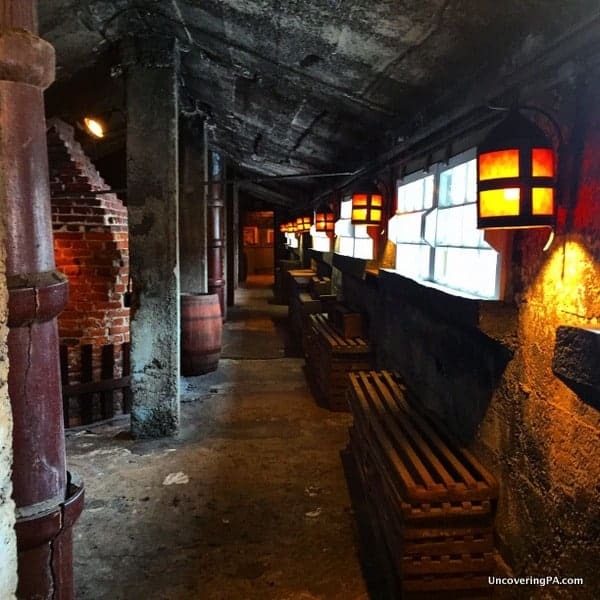 From there, the tour takes you through the tile works to see where Mercer’s famous Moravian tiles were made. A craftsman showing off a tile that he had just made. 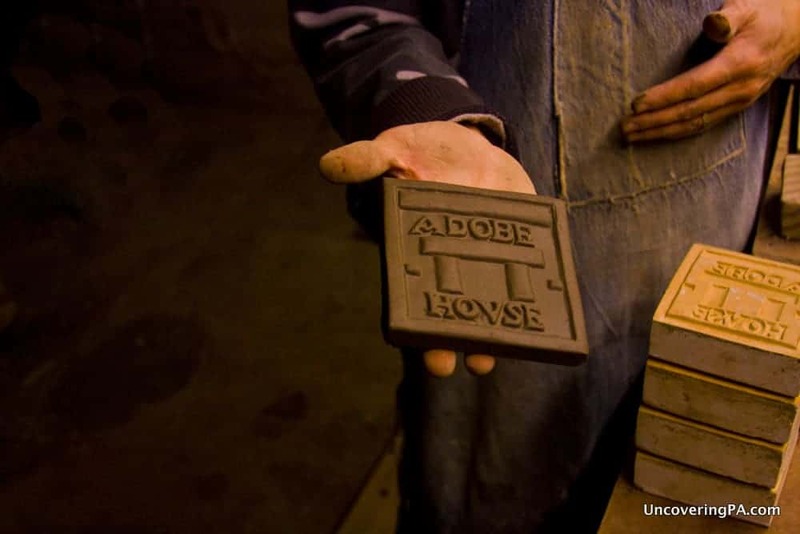 While it might not be quite as bustling today, handmade tiles are still produced in the facility. During your visit, you’ll be able to see at least one craftsman still demonstrating how the tiles are made in the facility. One thing that really impressed me was their commitment to authenticity. 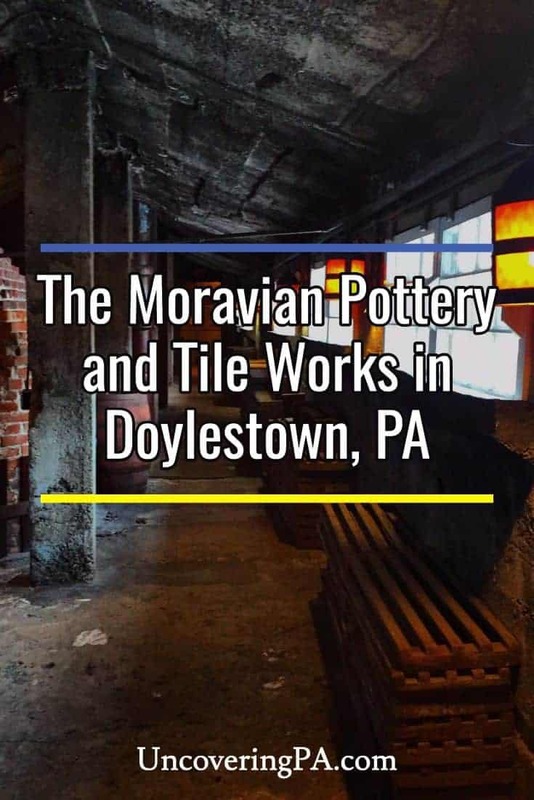 Today, more than 100 years after the Moravian Pottery and Tile Works began operation, the tiles are made in nearly the same way as they were when the building opened. They even continue to source red clay from Bucks County and almost exclusively use Mercer’s tile designs. Some of Mercer’s style still adorn the building both inside and out. In fact, there are only two major changes to the way the tiles are produced. First, the coal-fired kilns are a thing of the past for a variety of reasons, especially because of the soot caused by burning coal. The other change is that some of the coloring used for the tiles has been slightly changed to remove lead, though most of the glazes still contain some lead, which is why they don’t recommend using them for food preparation. A look at the courtyard at the Moravian Pottery and Tile Works. If seeing the tiles being made makes you want to take a few home, you’re in luck. The Moravian Pottery and Tile Works is home to a large gift shop complete with dozens of different tile designs that were made on-site. 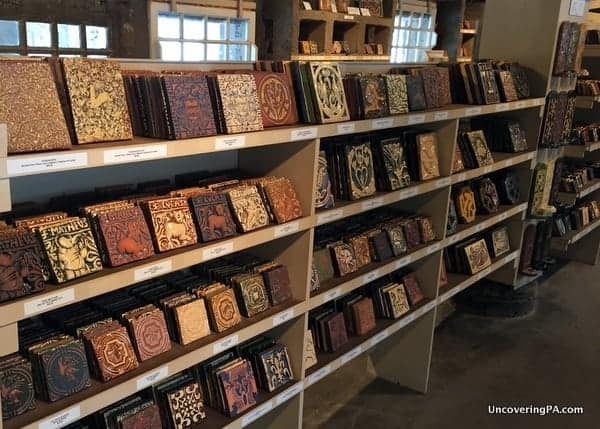 If you are interested in tiles made during Mercer’s life, the tile works doesn’t sell them, but does feature several display areas on the tour where you can view them up close. For those looking to see even more of his tiles, a visit to Mercer’s next-door home, Fonthill Castle, is a great choice. There is also a collection of tiles and other items Mercer collected in the Mercer Museum on the other side of town. Some of the tiles on display in the Moravian Tile Works Gift Shop. Overall, I really enjoyed my visit to the Moravian Pottery and Tile Works in Doylestown, PA. 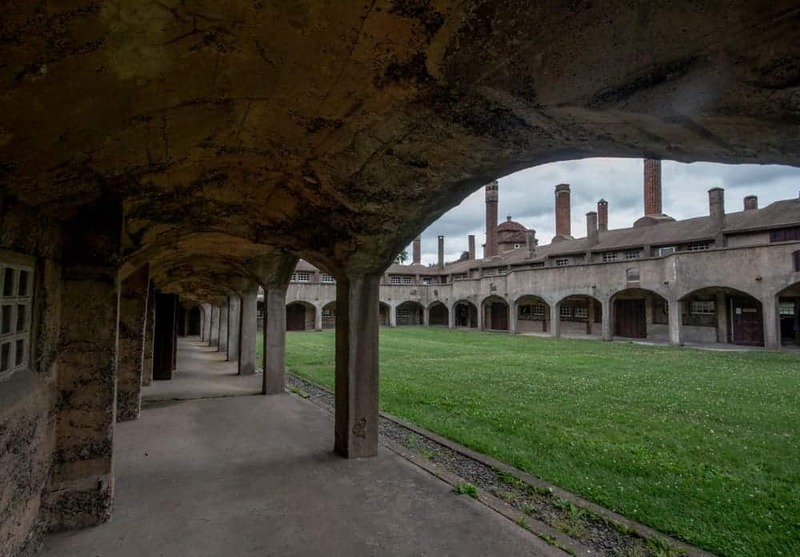 The building’s odd architecture, combined with its fascinating history and the ability to see tiles being made today make this a must-visit destination for anyone in the area. 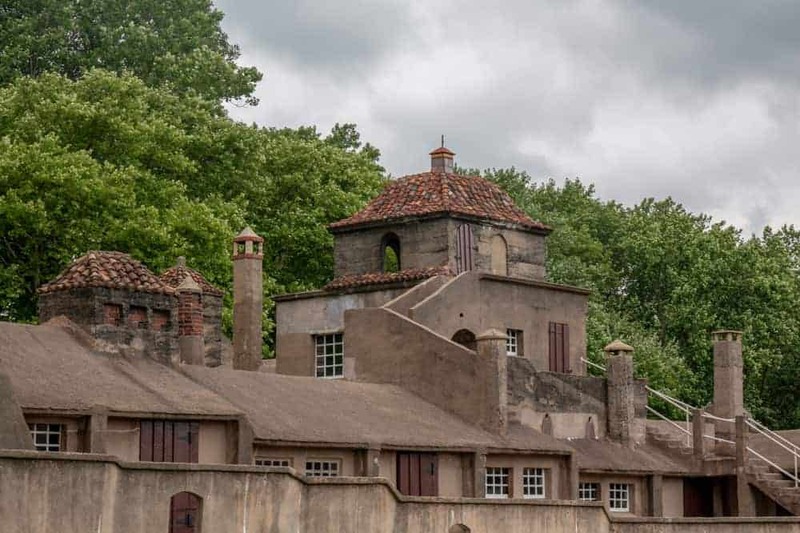 Note: My visit to the Moravian Pottery and Tile Works was hosted by Visit Bucks County. However, the opinions expressed are my own. 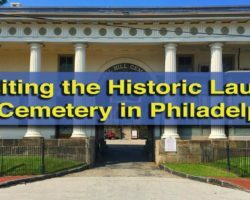 Check out Bryn Athyn Cathedral and Glencairn Museum near Philly that have a similar story. Wonderful article on this fascinating pottery. My daughter took a pottery class there about ten years ago or so. The techniques she learned there have been the basis of her pottery business, most of which are hand made tiles. 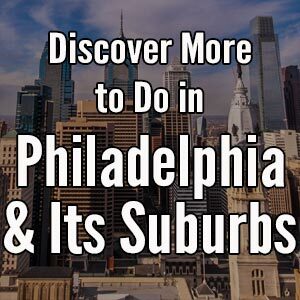 What is the connection to the name Moravian? 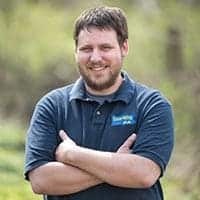 Pennsylvania has a large concentration of Moravian congregations including their Seminary in Bethel, PA.
There’s isn’t a connection per say. I think Mercer just used it to denote the style of tiles. More of a marketing choice than anything as far as I can tell. Do they allow photographs to be taken on the tours of the Tile Works and the Castle? Photos are allowed in the Tile Works, but not in Fonthill Castle, unfortunately.